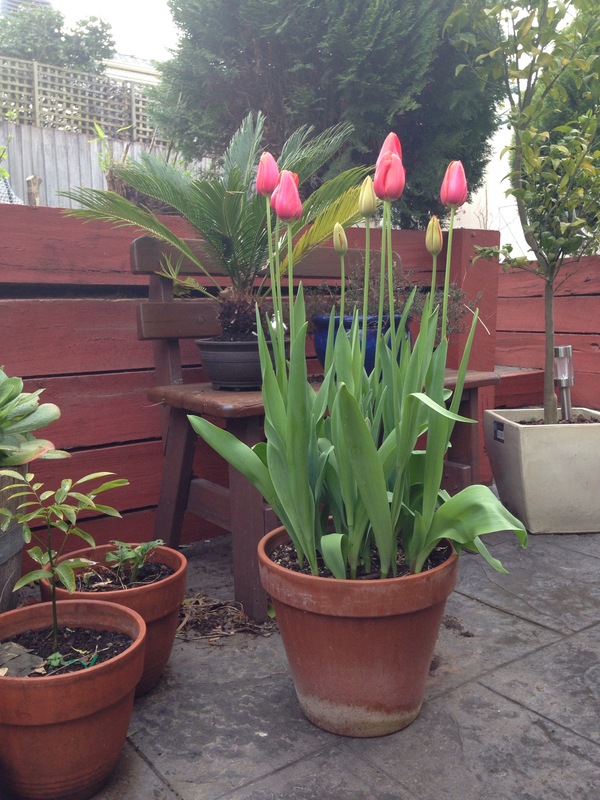 I bought these tulip bulbs from my local nursery back in April. I had never grown tulips before so I thought I would give them a try. As I mentioned in a previous post, I made a random soil mix with lots of compost and sand for drainage. Now, after months of anticipation with the bulbs staying dormant in the soil, they have burst out – look how they have grown! These look like they will be great for cutting – the stems are nearly 2 feet tall. The way the pot (also new at the time) has aged as well make this whole thing such a decorative piece.